General Yeager was born on the 13th of February 1923 in Myra, West Virginia. In 1939 he applied for the Citizens Military Training Camp in Fort Benjamin Harrison and starting the 12th of September 1941 he was part of the Army Corps. In July 1942 he started his pilot training of the flying sergeant program and in March 1943 he received his pilot wings and became a flight officer in Luke Field, Arizona. As of the 7th of December 1941 the US was pulled into WOII and Yeager took part in it in the 363d Fighter Squadron in Tonopah, Nevada, as a P-39 pilot. In November 1942 he was transfered to Leiston, Suffolk (UK), to start fighting against the Germans as a P-51 pilot. After shooting a ME-109 and a HE-111K on his 8th mission (5th of March 1944) he was shot down himself above occupied France. Thanks to the Maquis (guerilla units of the French resistence, the Resistance) Yeager got away safely to Spain. After his return to the UK in the summer of 1944 his superiors didn’t want him to fly above occupied territory because he might get shot again and they were afraid that he could fall into the hands of the Gestapo; if he broke under investigation he might give away sensitive information about the Maquis. 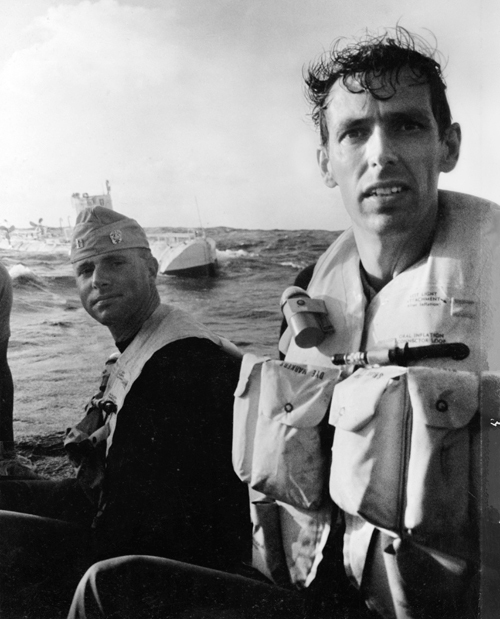 Yeager fully disagreed and said: “I don’t want to leave my buddies after only eight missions. It just isn’t right. I have a lot of fighting left to do”. In the end General Dwight D. Eisenhower himself gave him the green light and Yeager went on to fly another 56 missions in which he shot down 11 German warplanes. In 1945 Yeager returned to the US and through test projects with the P-80 ‘Shooting Star’ and the P-84 ‘Thunderjet’ he got involved in the development of the Bell X-1, the first rocket propelled airplane. 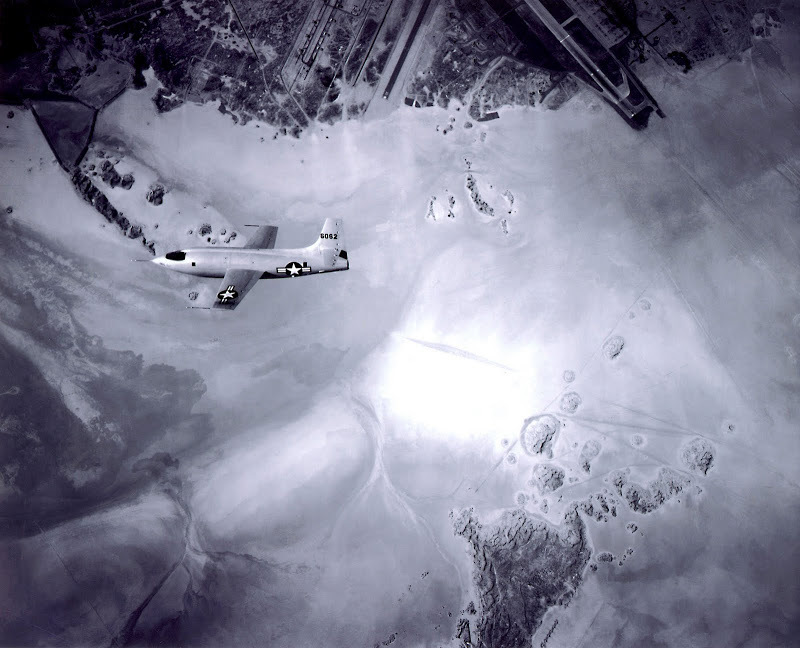 The X-1 was stationed at Muroc (now called Edwards Air Force Base) in California. Airbase Muroc was named after the little town of Muroc, founded by the Corum brothers in the beginning of the 20th century. On the 14th of October 1947 General Yeager was the first pilot to break through the sound barrier, flying the Bell X-1 with a speed of Mach 1.07 (670 mph). In the following two years flew another 33 times with the X-1, achieving a topspeed of Mach 1.45 (957 mph) at a height of 70.000 feet. In December 1953 Yeager flew with the Bell X-1A at a speed of Mach 2.44 (1.650 mph), a record that still stands for an airplane with straight wings. 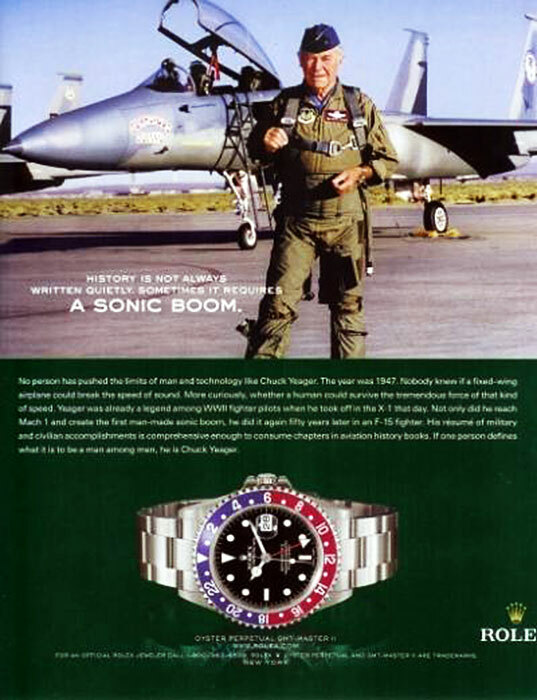 In his whole carrier as a pilot Yeager has always worn Rolex watches (Oyster, Submariner, GMT Master II) and they have never let him down. Also during the very hairy moment he experienced on the 10th of December 1963. 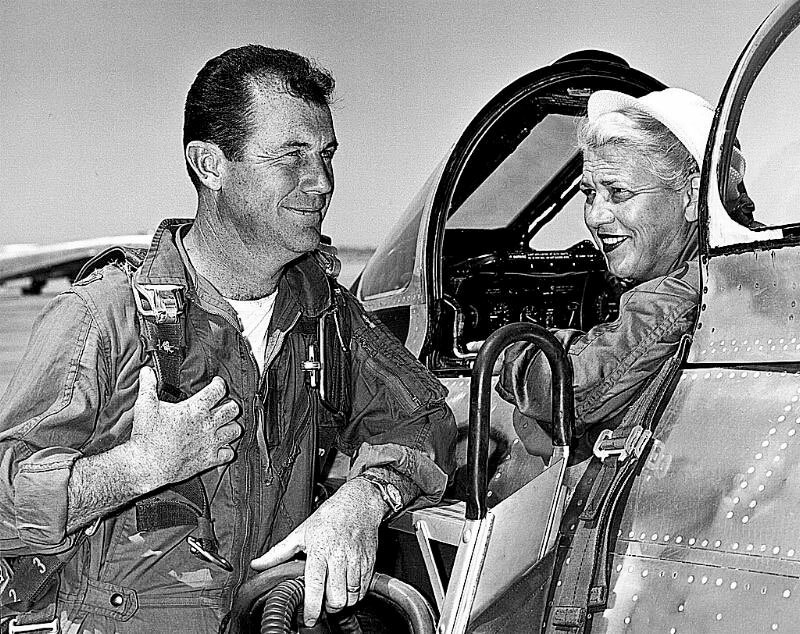 He flew at a height of 104.000 feet (almost 21 miles) in the Lockheed NF-104 when the rocket engine stopped working. Without hydraulic pressure the whole dashboard seized to work and the plane was out of control. Yeager tried to restart the engine but it was completely burnt. The aircraft made 14 complete flat spins on it’s way to the desert Yeager flew above. It was not until the last spin that Yeager ejected himself from the plane at a height of 8.500 feet. The chair went through his visor and he got hot rocket lava in his face. The lava made the oxygen in his pressure suit start to burn and his face was in a sort of inferno. Luckily Yeager managed to open the existing parts of his visor which made the flames to stop. After a safe touchdown in the desert Yeager realised that he had been very lucky. The rocket lava had burnt the ropes of his parachute to such an extend that they broke in his hand while folding up his parachute. 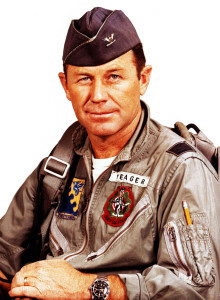 General Yeager has flown in 201 types of military airplanes and has more than 14.000 flight hours to his name, 13.000 of which in fighter airplanes. Recently he has flown the SR-71 Blackbird, F-15, F-16, F-18 and the F-20 Tigershark. 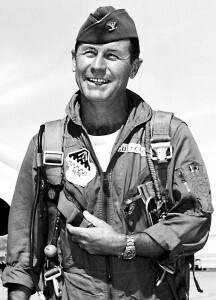 On the first of March 1975 General Yeager ended his carrier with the US Air Force. Through the years he has received many decorations and medals, both military as civil. Chuck Yeager was married to Glennis Faye Dickhouse from Grass Valley, California. Unfortunately she passed away on December 1990. They have 2 daughters, Sharon and Susan, and 2 sons, Donald and Michael. 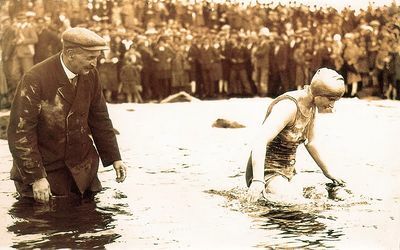 On October the 7th of October 1927 Mercedes Gleitze, a young stenographer from London, swam across the Channel in 15 hours and 15 minutes from Cap Gris Nez in France to Dover. She was the first woman ever to do this. A month and a half later, to be exact on the 24th of November, a page large advertisement for Rolex watches appeared on the front page of the Daily Mail. 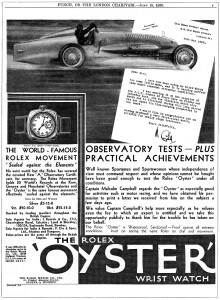 Part of the ad was about the heroic action of Mercedes Gleitze and especially about the fact that her Rolex Oyster had kept the time exactly “despite being immersed in water for over ten hours”. But why did Rolex say that her watch was immersed in water for over ten hours while the whole crossing took her 15 hours? Years later, in 2000, this question was finally answered. 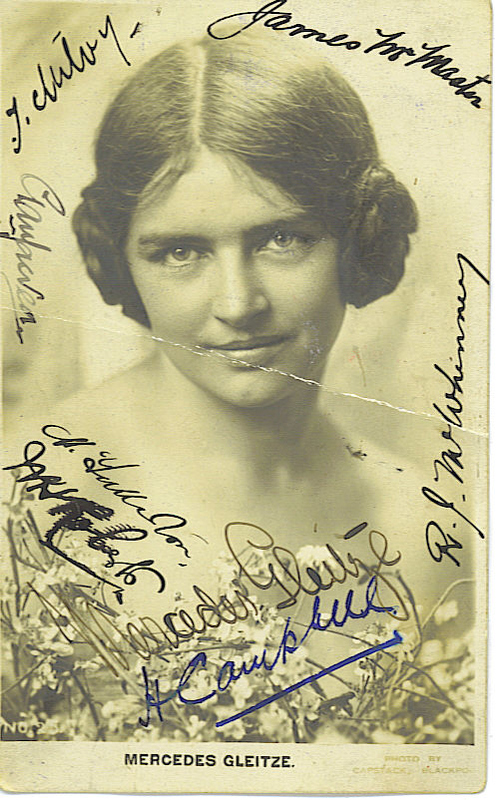 Mercedes had attempted a second crossing because after her’s somebody else had swom in less hours across the Channel. 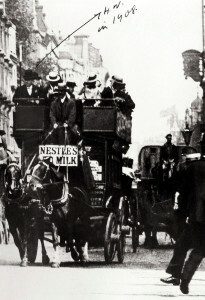 Mercedes was forced to end her venture at around the ten and a half hours mark because of extreme cold. 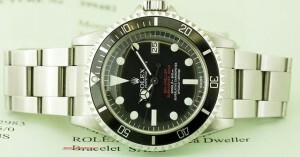 Rolex had only contacted Mercedes between her two crossings to ask if she would like to test and promote the new model. Part of her equipment for the second crossing on the 21th of October 1927 was the 9 crt gold Rolex Oyster that hung on a chain around her neck. The most important conlusion of this story is that Hans Wilsdorf had the brilliant inspiration to contact somebody who made the frontpages because of a special venture and give that person a Rolex watch so that this also got publicity. 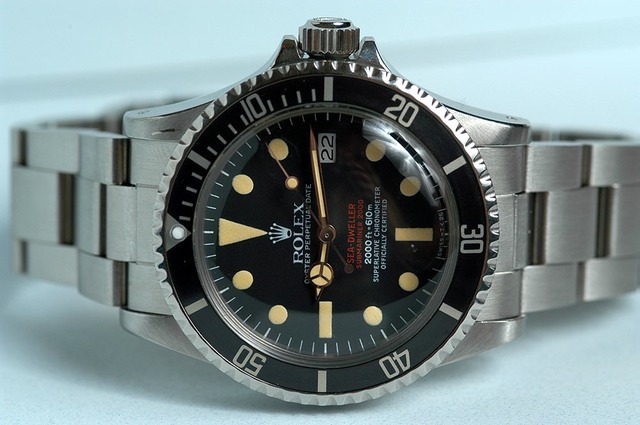 This was the starting point of an endless number of individuals in sport, culture and science who started wearing Rolex watches and also promoting them. Hans Wilsdorf proved that he not only in the technical part but also in communication and marketing had a mind that could brilliantly foresee trends in the future. Jacques Ernest Piccard was born on the 28th of July 1922 (1922-2008) in Brussels, Belgium. His father Auguste was a famous scientist who discovered Uranium 235 (he also called it Actinuran). 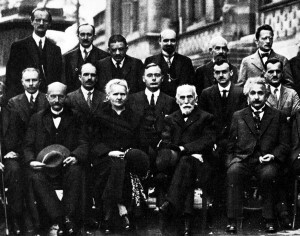 In October 1927 Auguste was present at the fifth Solvay international conference about electrons and fotons in Brussels. The picture above shows Auguste in the upper left corner, Marie Curie is in the middle and in the front right corner is Albert Einstein. At the conference they discussed the Quantum Theory of Einstein. Auguste became interested in hot air balloons as a way to observe the cosmic radiation in the upper atmosphere. With his experiments he proved a part of the Relativity Theory of Einstein. In 1931 reached a record height of 50.000 feet in a balloon with the first pressure cabin, becoming the first person to get to the stratosphere and return safely. With his experiences with the balloon Auguste started to develop a vessel with which he could submerge into the sea. 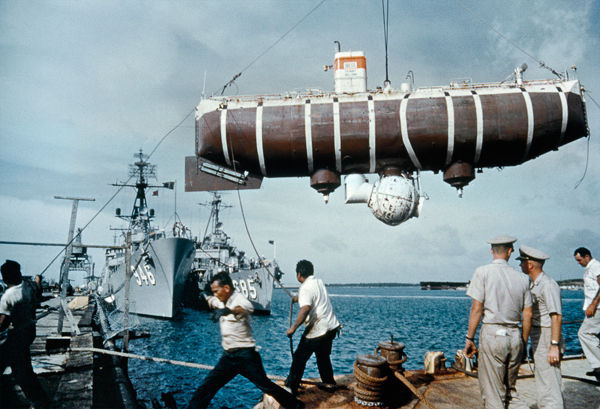 According to the laws of buoyancy external tanks of the vessel needed to be able to dump their lighter than water fuel in order to fill the tanks with sea water; this gave enough negative buoyancy to submerge. In 1943 Jacques Piccard started studying Economics at the University of Geneva but he quitted to go to the French First army. After the war he became more and more interested in the activities of his father. 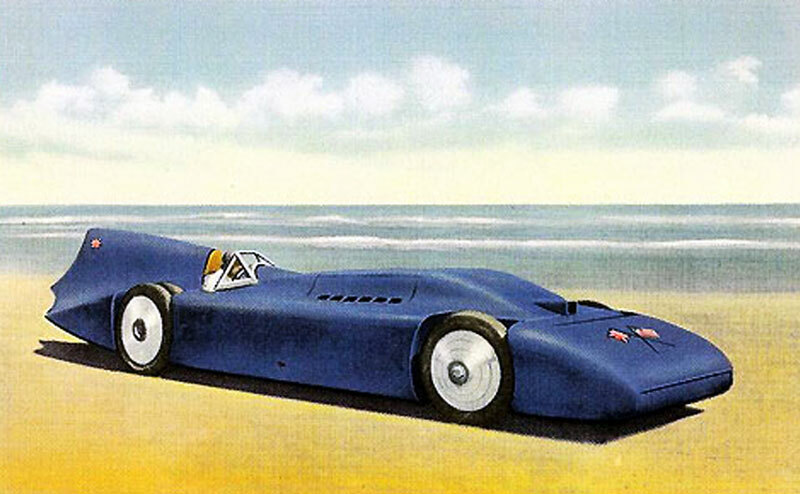 In 1948 the first prototype, named Bathyscape, was made thanks to the money from a Belgium scientific foundation. This vessel successfully made a unmanned descent to 4.600 feet but was damaged during it’s return in rough seas. 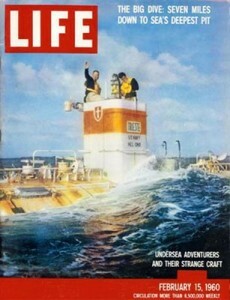 In 1953 a second version was built for the French Navy. 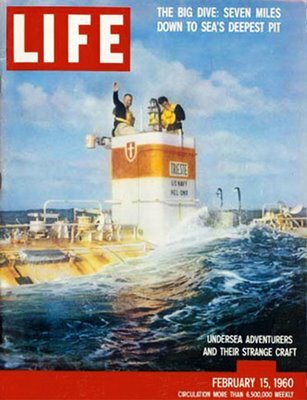 The city of Trieste ordered a third version with which a record depth of 10.335 feet was reached near the Italian island Ponza. 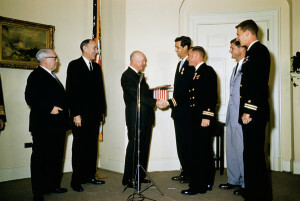 In 1956 Jacques Piccard contacted the US Navy. He went, with his vessel Trieste, to San Diego to work together with scientists who were studying the biological and acoustic properties of deep scattering layers. Two years later the Navy bought the Trieste and they hired Piccard as a consultant. 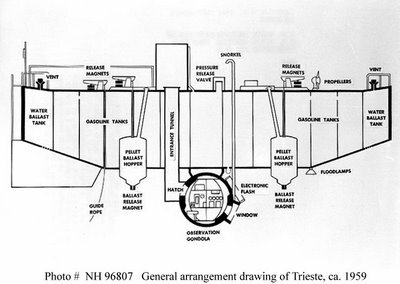 The Navy thought that the Trieste could also be useful in case of a submarine accident and saving the crew. In the first 17 months Trieste made 22 dives, breaking three depth records. 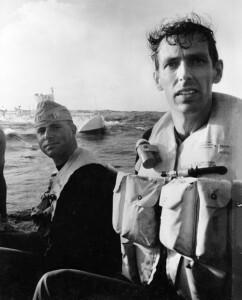 In the early morning of the 23th of January 1960 Jacques Piccard and Lt. Don Walsh, a submarine officer, entered the Trieste in the rough seas near Guam. This was the start of a 36.000 feet dive into the Challenger Deep gorge in the Mariana Trough. The Trieste didn’t have equipment on board to do experiments because the purpose of the dive was to show that it could reach this depth. The descent was without any problems until, at 30.000 feet, Piccard en Walsh heard a loud crack. Non the less they continued their descent and finally they landed in a tobacco brown sludge at 35.800 feet. 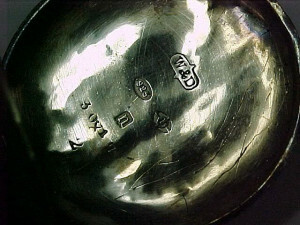 Walsh described the experience as “being in a big bowl of milk”. 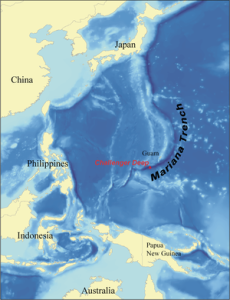 According to them they saw a new kind of shrimp and a flat fish but marine biologists later said that that wasn’t possible at this depth with a pressure of 17.000 psi. After seeing the cracks in the windows of the Trieste Piccard after 20 minutes decided to start the ascent. 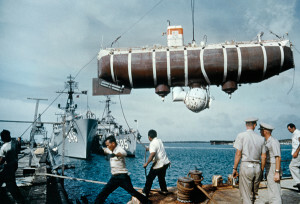 Piccard and Walsh returned to the surface without any further problems. 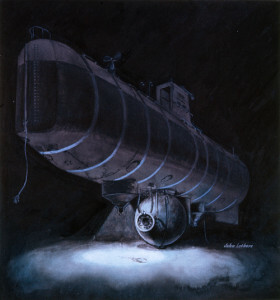 The mission received world wide attention and later Jacques Piccard, together with well known geologist Robert Deitz, wrote the book ‘Seven Miles Down’. 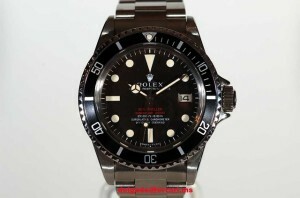 Rolex had developed a special watch, the Deep Sea Special, for the descent into the Mariana Trough. 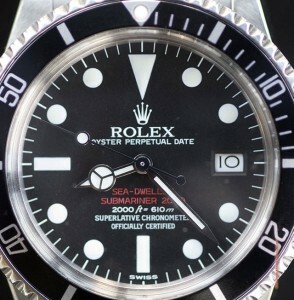 The watch was attached to the outside of the vessel and after the return to the surface the Rolex was still ticking happily after having withstood a pressure of 17.000 psi. On the 22nd of March 1881 Hans Wilsdorf was born in Kulmbach, Bavaria (D) into a successful, middle class family of iron mongers. Wilsdorf became an orphan at the age of twelve and he moved to his aunt and uncle. They directly sent him to boarding school in Coburg (40 km from his home). Wilsdorf had a terrible time here and he indulged himself completely in his schoolwork to survive. The fact that he learned the English language perfectely here was the first illustration of his brilliant thoughtfulness. One day Wilsdorf decided that he had enough of school and he traveled to Switzerland to start working for a dealer in pearls. He started to learn the business and remarked that, without producing anything, they made good profit. Wilsdorf saw how the pearls were bought from different sources, sorted and sent to the juwelers after their grade was determined. Working here was a very useful experience for Wilsdorf. Finally he got a job at the growing watch company Cuno-Korten in Switzerland. He was hired because he was fluent in English. Wilsdorf handled all corresponce with the British Empire and the US which were the richest nations. 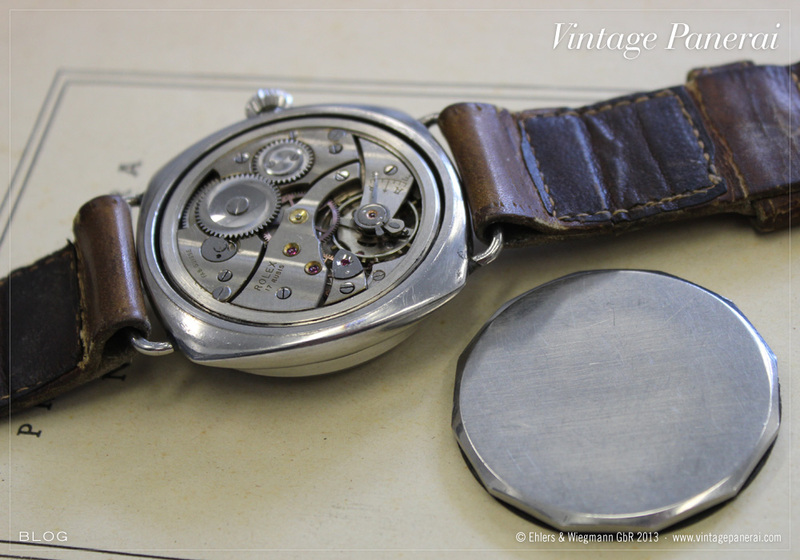 It was at this company that Wilsdorf’s lifelong passion for watches and their accuracy started. The year 1905 was crucial for the start of Rolex, a couple of years later. Wilsdorf, together with his brother-in-law James Davis, started the watch import firm Wilsdorf & Davis in London. Wilsdorf, yet again, showed to have great thoughtfulness. 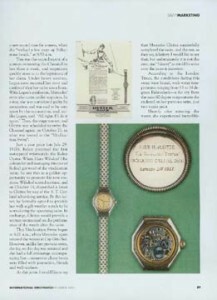 He foresaw a trend in which wrist watches would start to replace pocket watches. He convinced a small watch maker, Hermann Aegler in Bienne, to start making calibers that were small enough to fit in a wrist watch. The phenomenon wrist watch received a lot of cynism. With a nice pocket watch a man was respected and it was even said that a gentleman would rather wear a skirt than a wrist watch! Watch makers feared that the watch would be too small to be accurate enough and that it could not withstand the constant movement of the wrist. They thought that dust and dirt were also going to cause trouble to the watch. 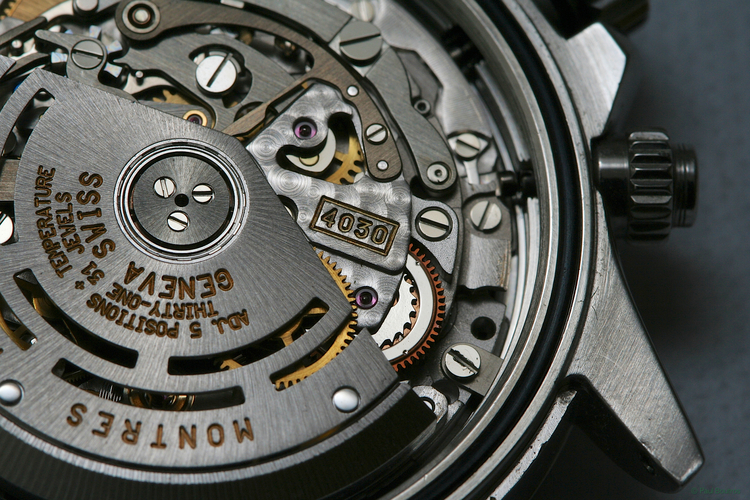 Only a few watch makers dared to make wrist watches. The reluctance of the watch industry motivated Wilsdorf to keep making wrist watches smaller and more accurate. 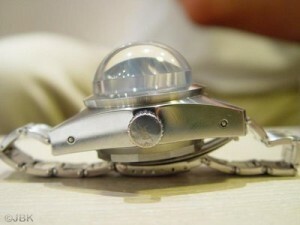 In cooperation with Aegler, who now had a reputation of making good lever escapement watches, a small caliber was developed. The first order was a milestone because the worth of it (several 100.000s Swiss Francs) was five times the total capital of Wilsdorf & Davis. 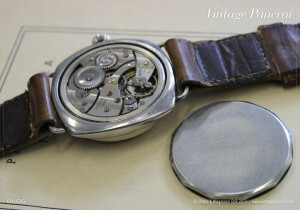 From this moment on Wilsdorf fabricated and sold watches (case and caliber were imported from Bienne). 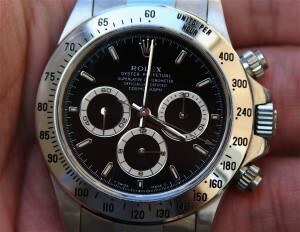 He wanted his watches to be available for a broad public, not too expensive, stylish and accurate. Wilsdorf’s vision was again that of a genius. 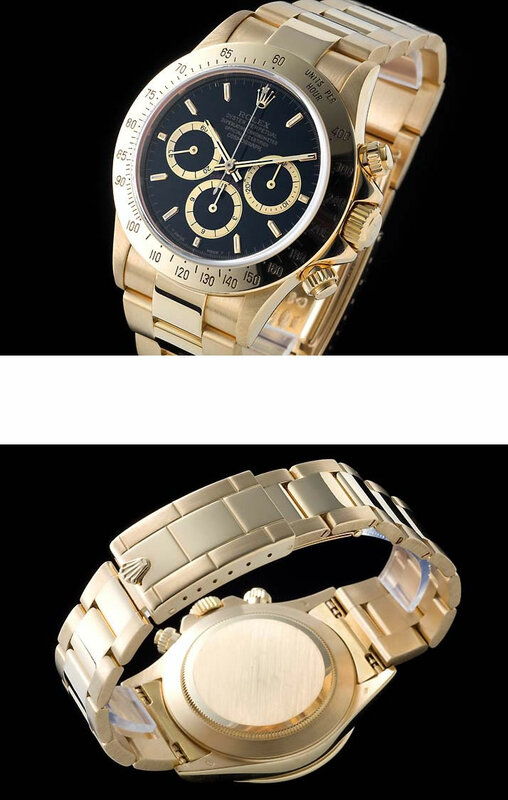 He offered the watches in a variety of cases: sports, casual, formal and other forms. 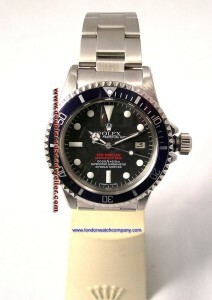 Direct result from this was that the clients bought several watches, depending on what their activities were. The wrist watch became very popular among the sporting Upper Class in England. All the parts of the watches came from different suppliers. At that time it was still common that the name of the supplier was stamped on the dial and the caliber. Wilsdorf realised that he very much needed to create his own watch brand to make a difference with all the others (which he also saw as inferior to his watches because he was the only one demanding strict tests before the watch was sold). 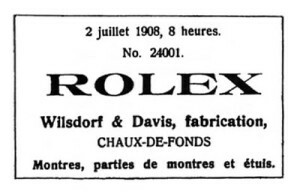 On the 2nd of July 1908 Wilsdorf & Davis registered the name ‘Rolex’ as trademark in La-Chaux-de-Fond. 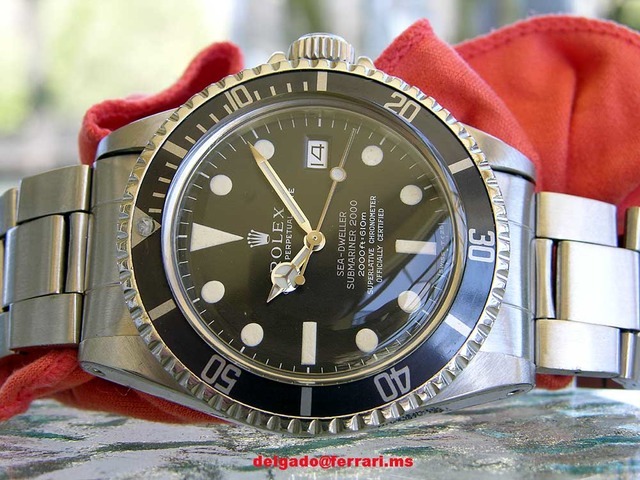 There are several stories about the origin of the word ‘Rolex’. 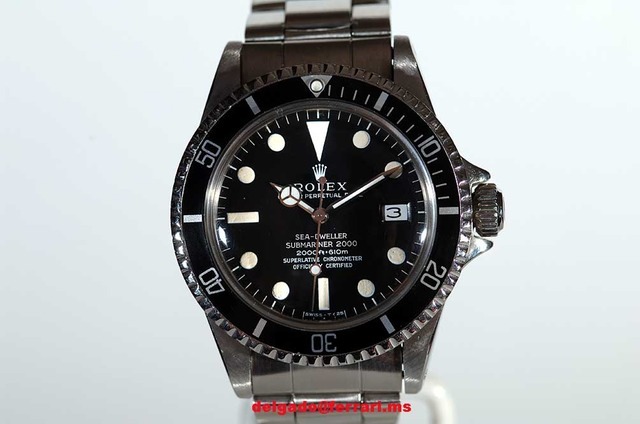 Some say it is a combination of ‘Horlogerie’ and ‘Exquisite’ and others say it is short for ‘Rex Horologlorum’. But most likely Wilsdorf was inspired by George Eastman who in 1884 didn’t call his camera Eastman 25 but Kodak. Eastman had already said that a brand name has to be short, sharp and not prone to misspelling which would destroy it’s identity. Also important, because of trademark laws, was that the word didn’t mean anything. For Wilsdorf it was also important that the name would fit nicely on the dial and that it was easy to pronounce in many languages. 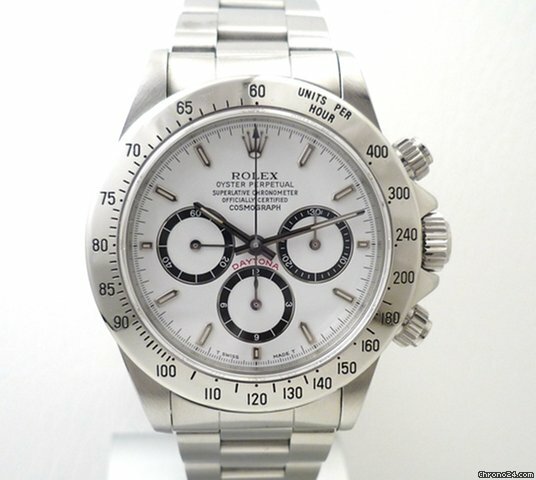 Rumours say that Wilsdorf, during his morning ride in the tram, in sunny weather came up with the name ‘ROLEX’. In the beginning Wilsdorf had an unforeseen battle to fight to get the name Rolex on the watch and not that of the supplier. 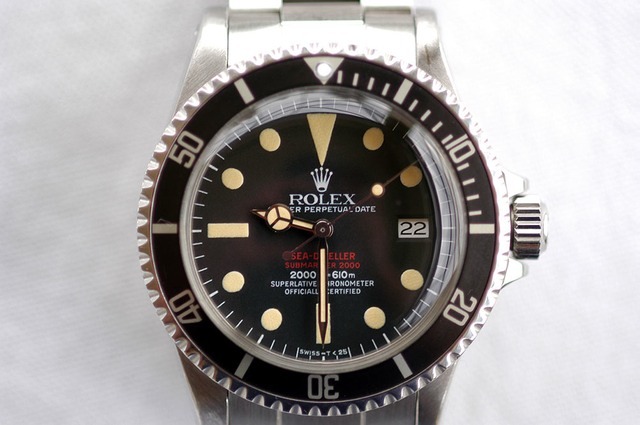 During that period Rolex watches also wore the following names: X/L, W/D, Marconi, Genex, Rolco, Oyster and Tudor. - 1910: Test of a Rolex watch by the School of Horology in Bienne. It was graded excellent and received a chronometer certificate, the first wrist watch with this certificate. - 1914: Class A Certificate from the Kew Observatory in England. First wrist watch to pass these tests, normally for large chronometers. Accurate in 5 positions and 3 different temperatures. From now on every Rolex chronometer got a Official Timing Certificate. - 1919: After WOI import taxes were 33% and Wilsdorf was forced to leave England and go to Switzerland. 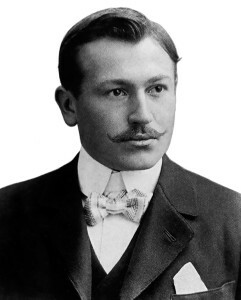 In Geneva he founded Montres Rolex S.A.
Later Rolex S.A. of Geneva and Manufacture des Montres Rolex S.A. of Bienne (Jean Aegler) merged after which there was one company that was controlled by the Hans Wilsdorf Foundation (an institution with the intent to spend a part of the profit on non-profit organisations. The Foundation was founded in 1945 by Wilsdorf who had no children). According to Wilsdorf there were 3 components that a wrist watch needed to have: precision, waterproof and self-winding (he even thought that one component was useless without the other two). 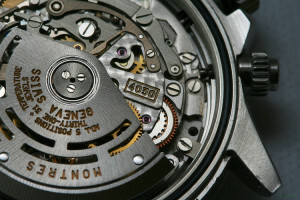 Of course watch makers had been busy for years to try to fit the three components in one watch but they still hadn’t found a solution for the 2 most vulnerable parts: crown and winding system. It was clear to Wilsdorf that a watch was as good as the case could protect all the parts inside. 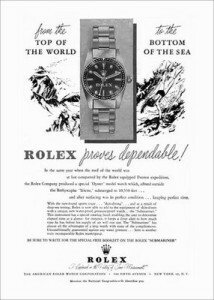 This puzzle had become very relevant for Rolex because their watches were also sold in Africa and the Far East. 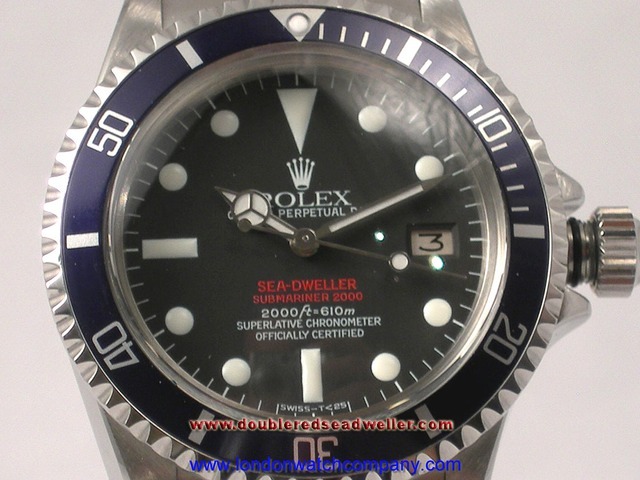 The ships from England took so long to reach their destination that at the arrival 50% of the watches was rusted. - 1926: The creation of the Rolex Oyster, a wrist watch with the crown screwed to the case with a twin lock system. Just like an Oyster the case was now water and air tight. 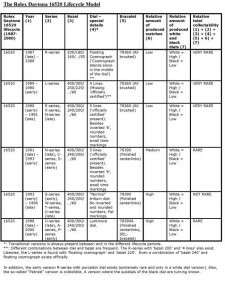 To test the water resistance of the case they developed a test with which 0,05 mg of water could be detected when the case was under water. 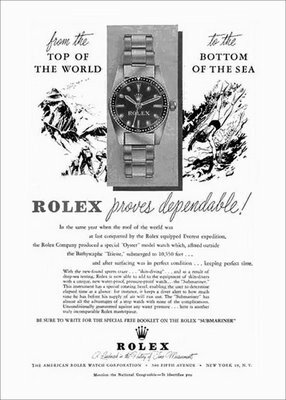 After intensive marketing and advertising the Rolex trademark was introduced in 1925 and from 1927 all the watches had ‘Rolex’ stamped on the inside of the case, the caliber and the dial. 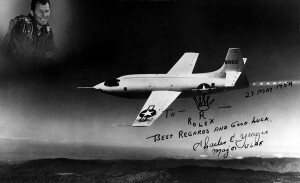 The next event that showed that a Rolex was reliable under all circumstances was the flight that Lt. Cathgart Jones made. 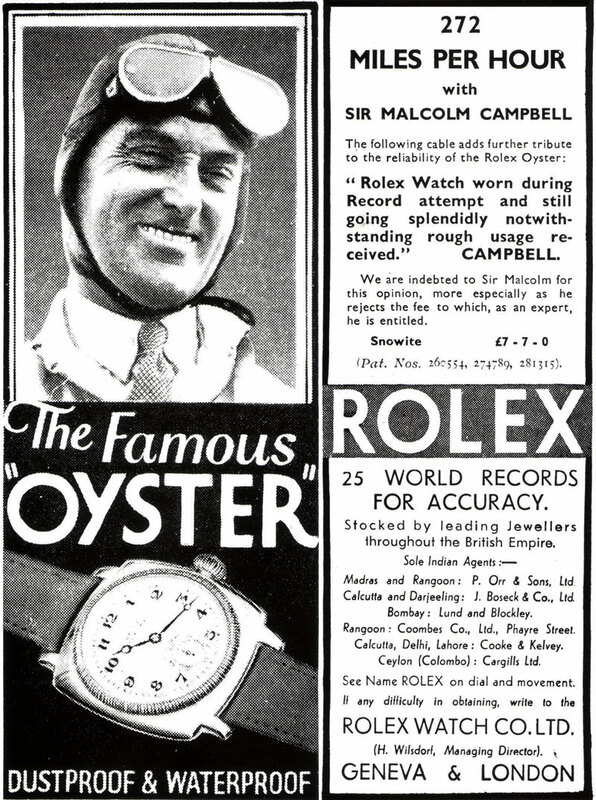 He flew from London to Melbourne and back, a trip of over 25.000 miles, after which his Rolex watch was only a couple of seconds of the right time. 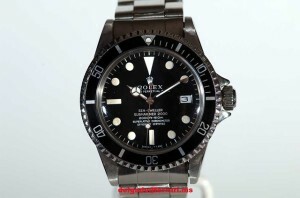 - The last challenge for Rolex now was the development of an automatic winding system. Half way during the 19th century Abram-Louis Perrelet Senior, a watch maker from Le Locle, invented the first such system. Abram-Louis Breguet in Paris and Recordon in London perfected the system but is was only used for 20 years because it was much to vulnerable. After WOI Englishman John Harwood invented an automatic winding sytem but still not good enough for Wilsdorf. The system had to be completely automatic, quiet, winding in both directions and no buffer coils. 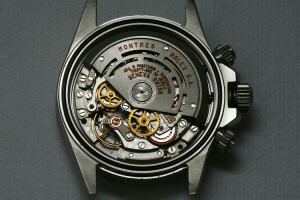 The main problem was how to protect the mainspring from getting overloaded because of the constant movements of the wrist. 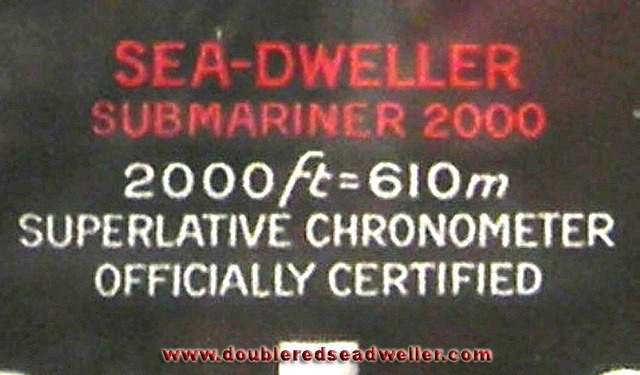 This article is about the Double Red Sea-Dwellers that were made between 1967 and 1969 (serial numbers between 1.7 and 2.2 million). There are dials with a line in red and other dials with two lines in red without the number ’2000′. The initial dial is in red, possibly printed on a white background, and both lines have the same format font. A couple of watches of this version have a faded dial causing the red letters to have changed into rose or white. 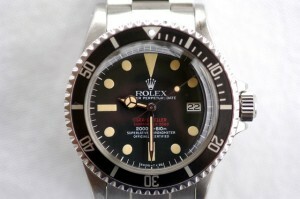 The ‘O’ under the five fingers of the Rolex crown is clearly visible. Most versions of this model have ‘patent pending’ on the back of the case. 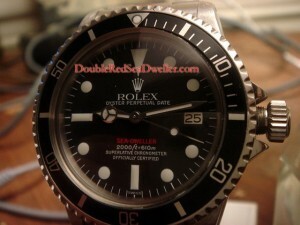 The second version of the dial can be found in about 1.7 million cases. The distinctive character of this dial is the way it is printed. In general the print is in clear red and applied directly on the background. The font of the second line is smaller. In rare cases the dial is faded into matt black, light brown or chocolate which are also called the ‘chocolate dial’. The fingers of the crown are disfigured and the ‘O’ is practically non existent. This version is rare. The red print on the dial looks very much like the one on version 2 but here the crown is clearly printed and it has a flat lower part, looking like the first version. 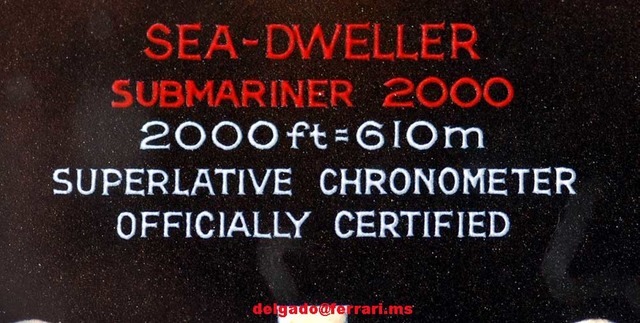 The ‘D’ in Sea-Dweller is in line with the ‘R’ in submariner 2000. 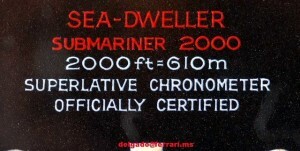 In version 2 the ‘D’ is in line with the ‘I’ of submariner 2000. Version 3′s print is comparable with Version 2′s but the space between the depth markers is different and so is the crown. 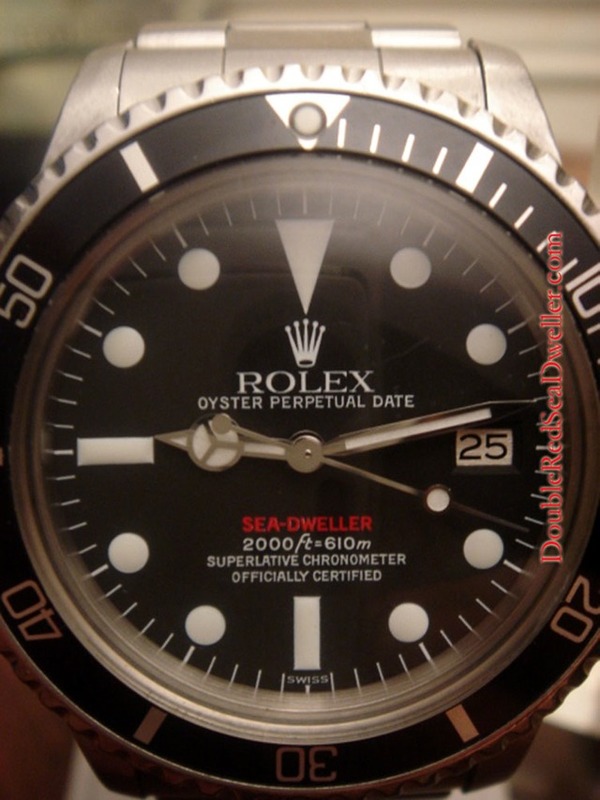 The final version of the dial was made for general production and is the most common one. The red print is clear but not heavy and when one uses a magnifying glass the print looks like it’s made of small dots. The font of the upper red line is significantly bigger than that of the second line. The crown is big, the five fingers are clearly printed and the ‘O’ is rather big. This is a common version of the dial. The crown is the same as in the second version. The upper two lines are in red. Depth markings ‘ft’ and ‘m’ are in italics and the most important detail is the markers containing luminova. 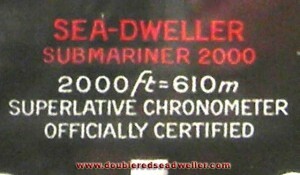 This is the white Sea-Dweller dial with markers in luminova and red print over the word ‘SEA-DWELLER’. Rolex for the army: special order or standard issue? 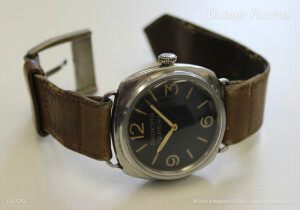 As collectors know several Rolex models exist with a marque of an army unit on the back of the case. For instance the British broad arrow on some Submariner models from the 60s and 70s. Then in January 1990 the strangest thing happened. 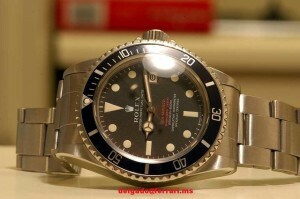 Rolex wrote a letter to Italian collectors saying that these kind of watches were never made. How is this possible? 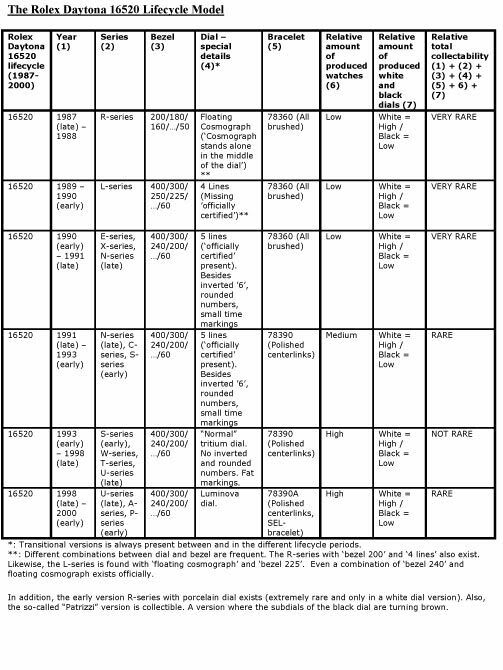 The answer is that these watches were never specifically designed for the army but that several units were given standard watches that were in production at that moment and that were modified (for instance different hands or other numbers on the bezel). There is always an exception to the rule and in this case, as the letter said, that is the:” Radiomir Panerai produced in the 40s by our dealer for the Italian Navy. This watch was specially made for their famous Commando divers and it was designed and manufactured by Panerai. Rolex was only the supplier of the calibers so there was no Rolex on the watches”. But there is another question that is still unanswered after reading these lines. A letter of intent (11/1954) between G. Panerai & Figlio and S.A. Montres Rolex Geneva said the following: “The deal is cristal clear that the waterproof watches with the Oyster cases G. 6152 and G. 6154 (or comparable models) who have been made for over 15 years at the request of and solely for the Panerai firm, are absolutely for G. Panerai & Figlio and can not be supplied to a third party with a Rolex or another caliber”. The question remains open if Rolex only supplied the cases to Panerai or also the calibers. Whatever the truth, it is clear that Panerai, nowadays a very popular watch brand for collectors, is one of the keystones on which the fame of Rolex is built. Malcolm Campbell was born in 1885 in Chislehurst, Kent, as the only son of William Campbell who was a diamond merchant in Hatton Garden. After being a student at Uppingham School Malcolm went to Germany to become a diamond dealer himself. In Germany he developed an interest in motorcycles and racing. Back in the UK he worked for Lloyd’s in London for two years, starting with an income zero the first year and a pound a week the next. During the period from 1906 till 1908 he won all three of the London to Lakes End Trials (motorcycle races). In 1910 he started racing cars at Brooklands. He called his car Blue Bird, painted blue, after seeing the play The Blue Bird by Maurice Maeterlinck at the Haymarket Theatre. During WWI he served in the Queen’s Own Royal West Kent Regiment and in the RAF. 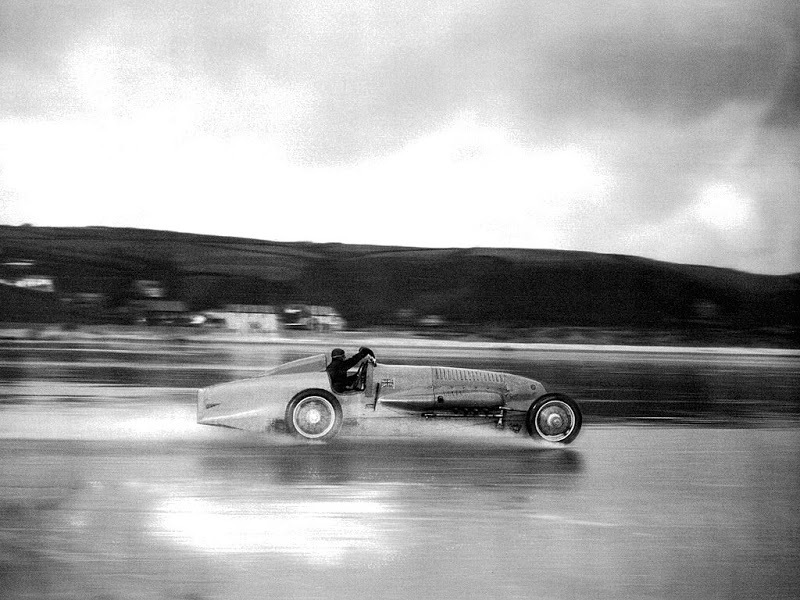 Sir Malcolm Campbell became famous because all of the speed records on land and water that he broke. He also raced successfully in several Grand Prix car races. In 1927 and 1928 he won the Grand Prix de Boulogne in France driving a Bugatti T37A. 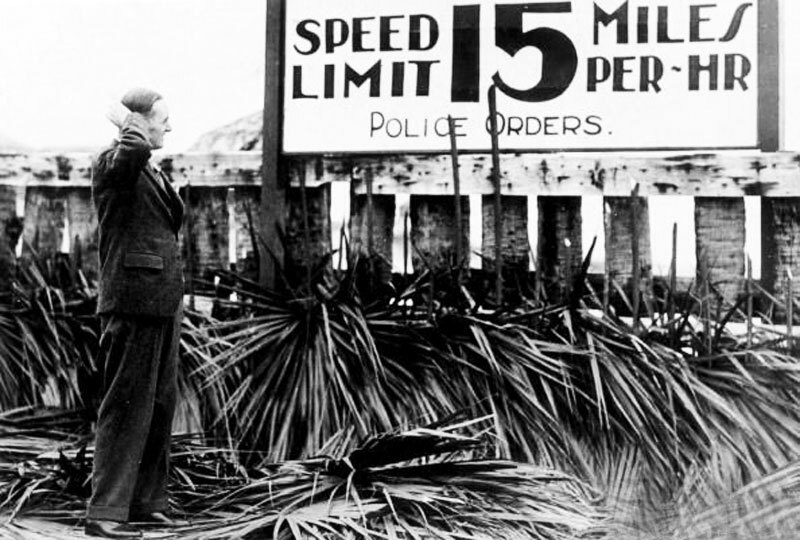 - The first time he broke the record was in 1924 with a speed of 146.16 mph (235.22 km/h) on Pendine Sands near Carmarthen Bay, driving a 350 bhp V12 Sunbeam (presently in the National Motor Museum, Beaulieu). 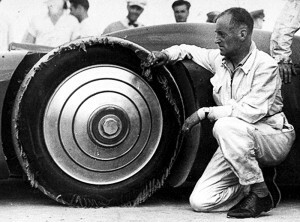 Between 1924 and 1935 he broke 9 speed records, 3 on Pendine Sands and 5 on Daytona Beach. For the first two attemps he used a Sunbeam. - On the 4th of February 1927 Campbell broke the record on Pendine Sands. He drove the ‘Flying Kilometre’ (the average of two attemps) with a speed of 174.883 mph (281.447 km/h) and the ‘Flying Mile’ with 17.224 mph (280.386 km/h). The car was the Napier-Campbell Blue Bird. 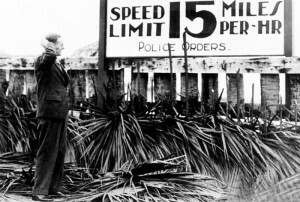 - On the 3rd of September 1935 he obtained his last land speed record on the Bonneville Salt Flats in Utah (US). He was the first person to drive more than 300 mph in a car, with an average of 301.337 mph (484.955 km/h) in two runs. 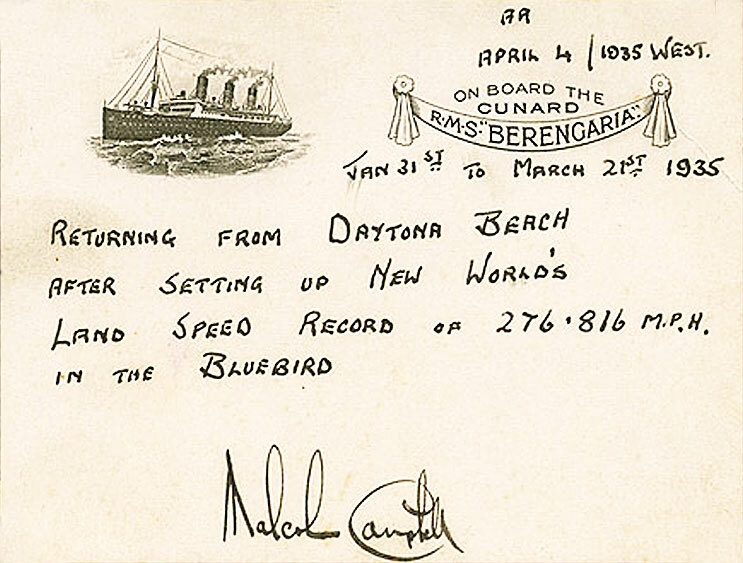 After having conquered land the next challenge for Campbell were the speed records on water. 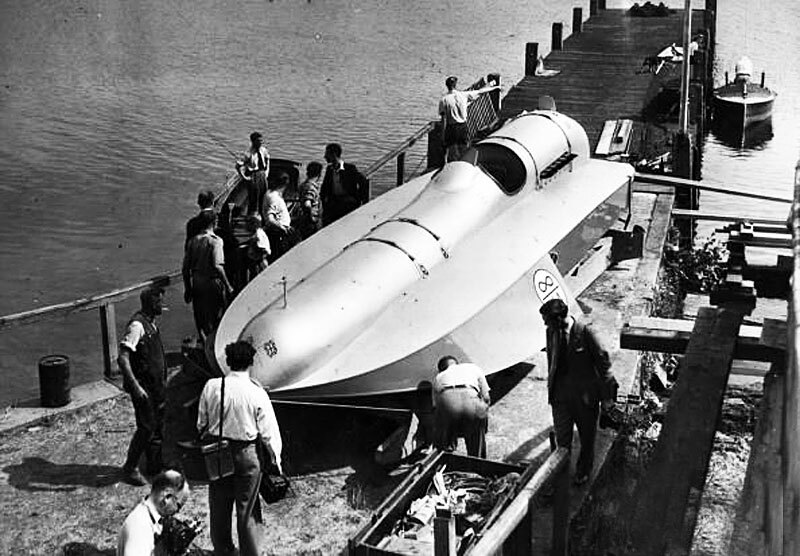 He developed his boat, called Bluebird, in Tilgate Lake, in Tilgate Park, Crawley, were he also tested the buoyancy of the boat. He succeeded in braking 4 speed records on water, the highest speed being 141.740 mph (228.108 km/h) in the Bluebird K4 (the 19th of August 1939 in Coniston Water, UK). 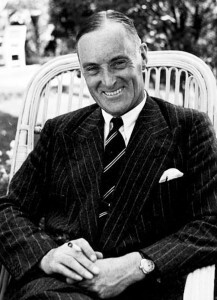 Sir Malcolm Campbell died on the 31st of December 1948 after having several strokes. 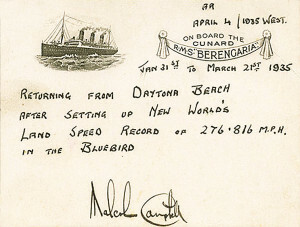 He was one of a few speed record holders on land who have died of natural causes. 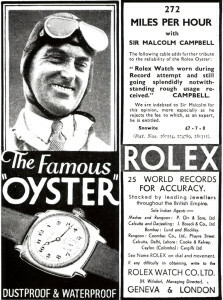 Rolex and Sir Malcolm Campbell have always been close, as the following pictures illustrate. 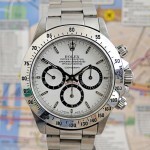 After having trusted the hand winding Valjoux caliber 72, and some variations of this caliber (read the article: ‘Valjoux 72: the start of the Daytona’), for a long time Rolex in 1987 decided to go and use a Zenith caliber to make the Daytona tick. Zenith had started the production of their El Primero caliber 400 in 1969 and, after being off the market for several years, from 1986 it was available again. The most interesting feature of the Zenith caliber 400 was that it oscillated with a frequency of 36.000 beats per our, where 18.000, 21.600 or 28.800 bph were common. This higher frequency made the watch more accurate. -	The oscillation frequency was lowered from 36.000 to 28.800 bph; this to lower the need for regular maintenance. 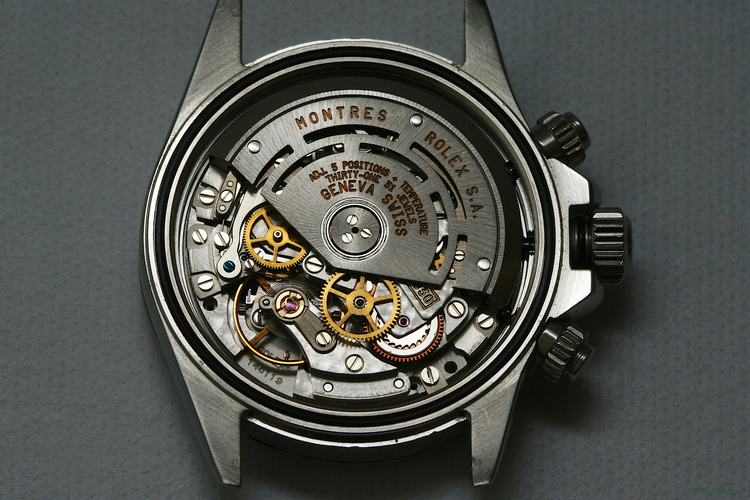 With all the adjustments made Rolex had modulated circa 80% of the original Zenith caliber. The new Rolex caliber 4030 was born. 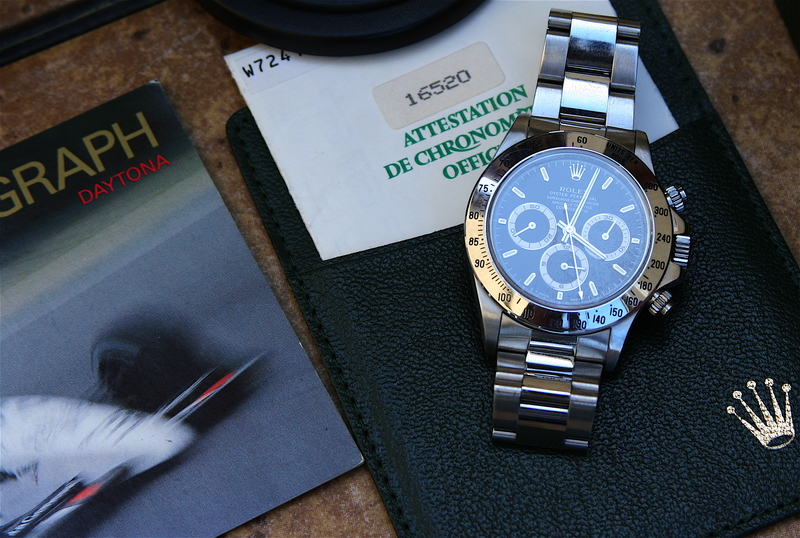 The Daytona with caliber 4030 had reference number 16520. Ref. 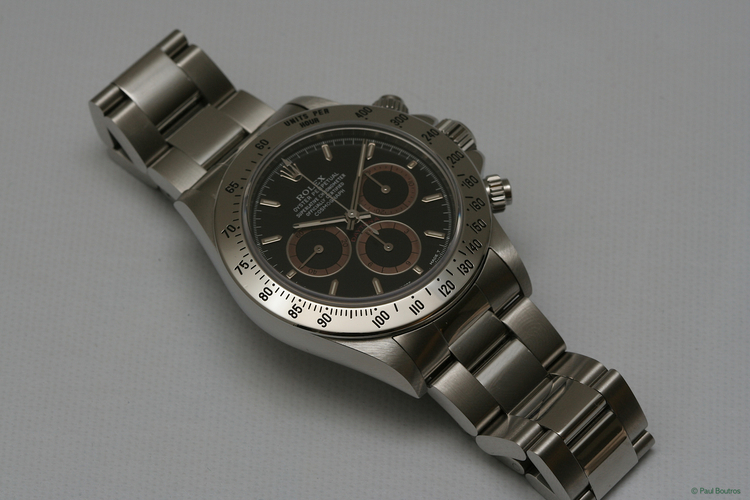 16520 differed from earlier versions of the Daytona in having sapphire glass and a couple of esthetic changes. 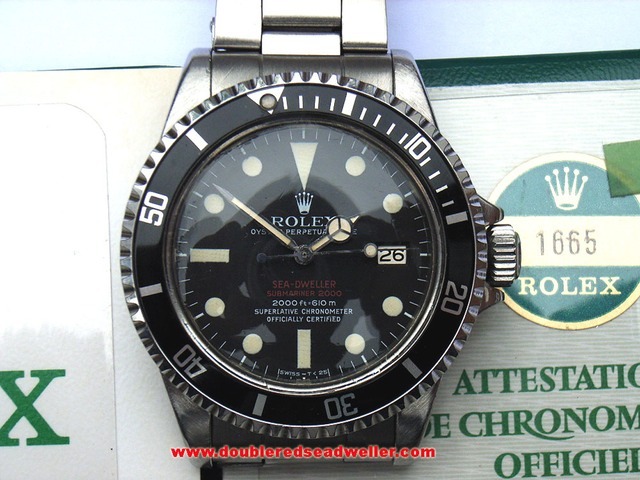 Influenced by other Rolex sports watches from that era, for instance the Submariner, the diameter of the case had grown from 37 to 40 mm. The surface of the dials were now lacquered and shiny versus matte (black) or metallic (silver). The dial had metal hour indexes, laid in with radiant material. The sub dials had a thin scale with an opposite colour and a metal bezel. Rolex made the ref 16520 from 1987 until 2000. In 2000 they started with their first chronograph driven by a manufacture watch. 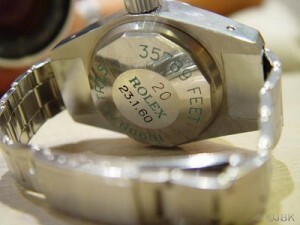 The reference and serial numbers of a Rolex watch are stamped between the lugs on the case. 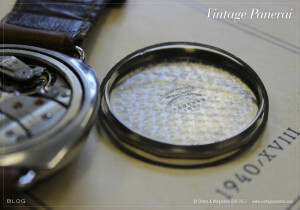 Until in the 1960s many models had not only the year of production written on the inside of the case but also in which quarter of the year it was manufactured, for instance ‘IV 62’. 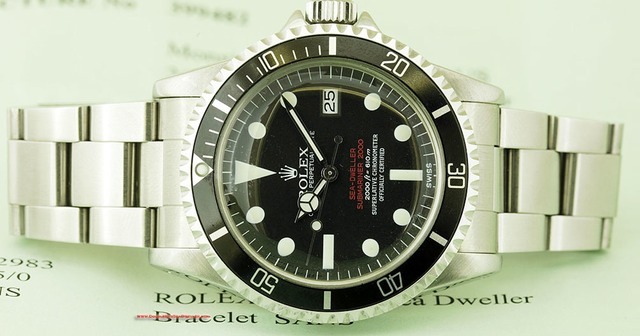 In the year 1954, after having passed the million, Rolex turned back the numbers en from 1987, after 10 million, they started using A, B, C etc in combination with the serial numbers.